I believe there is a fashionista in all of us we just have to learn how to pull her out and embrace her. 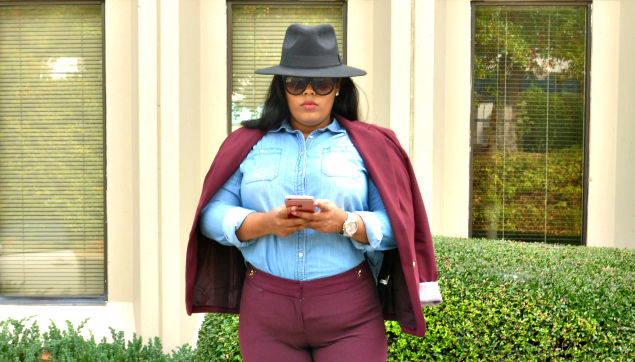 When it comes to fashion it can feel a little overwhelming if your trying to figure out how to shop or dress your shape. If you are curvy you may feel like you have to buy everything with elastic or cotton, but that is totally NOT true! If you are straight size you may feel like you can wear everything, but that is totally not true either! The truth is we've been lied too by magazines, shows, clothing lines and our ancestors that we only can dress a certain way. Today I have to crush those lies and only tell the truth about dressing your shape! "I place my right hand over the leopard pumps and will tell the truth and nothing but the truth so help me fashionistas!" Wearing the wrong proportions can make you appear shorter, longer, wider, or skinnier. For example, grab a belt with a high-waisted skirt to give your body some shape (it will also make your legs look longer...petite girls this is a bonus) If you have short legs stay way from ankle straps and skirts that come to the calf- they cut off the leg and you appear shorter and wider. Want to look like a million bucks when you rock your outfit? Get it tailored to fit perfectly! Remember it's all in the details when it comes to being a fashionista and a tailored look is a detail you don't want to miss! 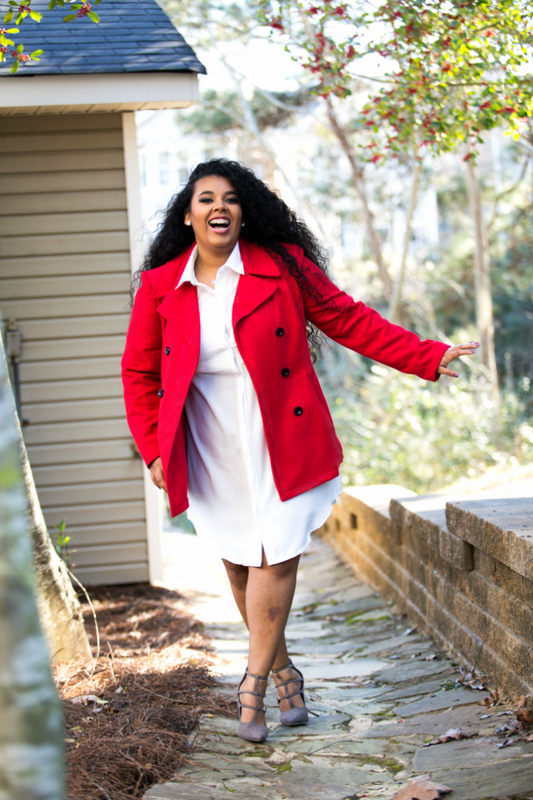 A $3 thrift store stress can look as great as a $300 dress if it's tailored to fit you! Maybe you need the hem taken up to elongate your legs or your blazer sleeves taken up to come to your wrist. If you love the item get the details right. Being an inbetweenie, I have heard so many times that I can't wear horizontal stripes, white after labor day, bodycon dresses, crop blouses....blah blah blah...well today we are throwing those rules in the garbage. Ladies, we can wear white after labor day....we can wear crop tops etc! BREAK THE RULES! Wear sequins after the holiday- just tell them you love to shine! When you step out your comfort zone you embrace your style. It feels AMAZING! Don't let others ruin or run your style! Embrace the fashionista in YOU! Until next time stay Lux...Be Unique...Be YOU!